We just launched a Getty Teacher Programs Facebook page! Become a fan and learn about upcoming workshops, new teacher resources, and more. 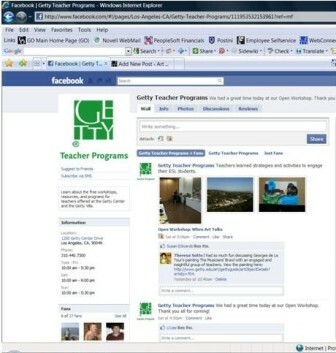 Check out our new Getty Teacher Programs page on Facebook.